Who can forget the 1992 romantic thriller, where Kevin Costner starred as Frank Farmer, Secret Service agent, turned bodyguard, hired to protect superstar Rachel Marron played by the one and only Whitney Houston. Each expected to be in charge – what they didn’t expect was to fall in love. The accompanying soundtrack became the best selling of all time, with the memorable hit I Will Always Love You going on to be the most popular wedding song deep into the 90s, wearing out Walkman’s and cassette taps everywhere. 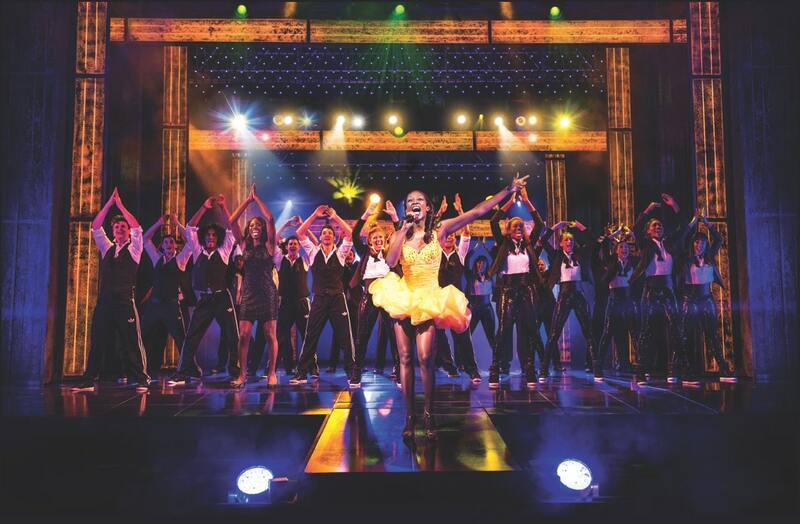 The award-winning musical The Bodyguard is based on the smash-hit film and has arrived for a limited engagement at Toronto’s Ed Mirvish Theatre. 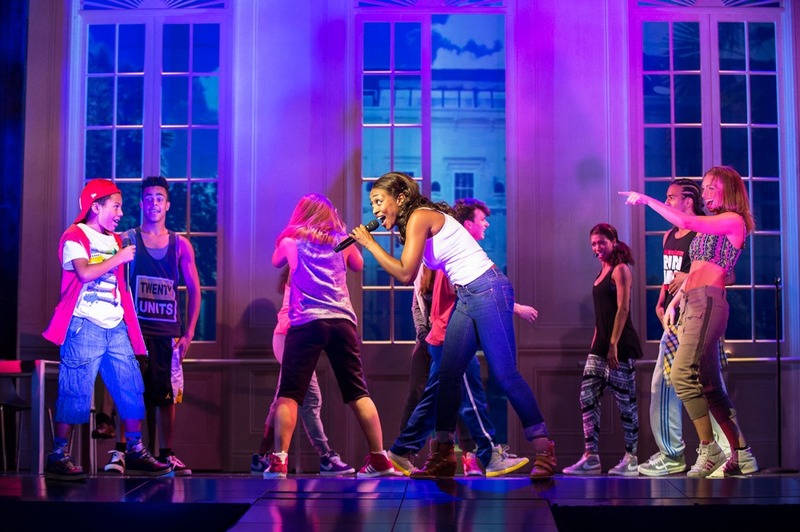 The Canadian premiere will feature the entire London West End company starring the Queen of British Soul, U.K. singer Beverley Knight who plays Rachel Marron, the Whitney Houston role from the movie. She’s got a world-class set of pipes and many, many opportunities to show them off. The creators of this stage crowd-pleaser have stuffed it with Houston’s back catalogue so that Knight sings over a dozen of her hits such as How Will I Know, I Have Nothing, I’m Every Woman, I Wanna Dance With Somebody, Queen of the Night, Run To You, Saving All My Love, So Emotional, and the granddaddy of them all: I Will Always Love You. Rachel John, who plays Marron’s sister Nicki powerfully sings Saving All My Love which highlights the sisters growing affections towards the new bodyguard – love triangle twist, I think so! The shows spectacular state-of-the-art design becomes a show stopper in and of itself, watching the horizontal and vertical walls of the set slide to suggest different areas in Rachel’s house, recording studios and performance venues, and then zooming shut like a closing aperture in an old film camera. The use of multiple spotlights to add additional drama to Rachel’s performances are also powerful, making you feel like you are front row center at a modern day rock show. 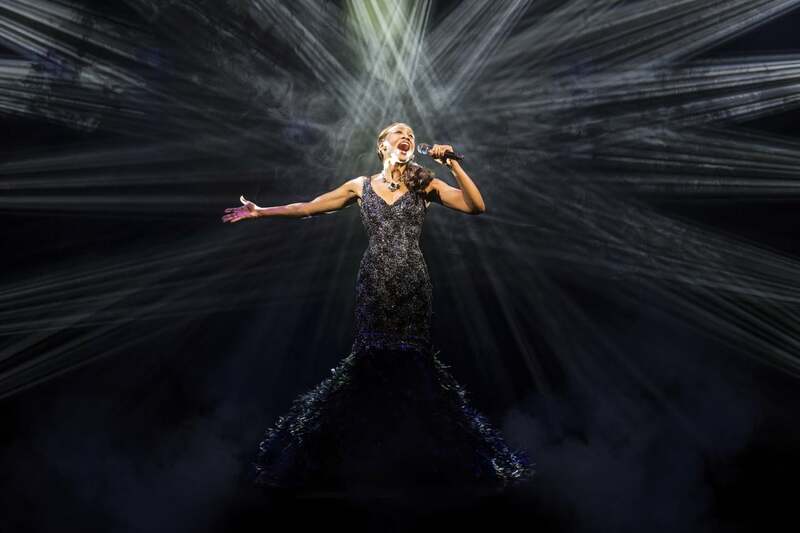 The Bodyguard highlights show business at its best where special effects are in no shortage. The show is not for the faint of heart as it begins with a loud bang – causing everyone to jump out of their skin when a gun goes off. Rachel’s stalker roams creepily through the audience with a rifle’s red laser stopping upon various member of the audience, then Beverley Knight is hoisted on a hydraulic platform over the stage, magnificent in a spangled black mermaid gown, as she moves into the bridge of “Greatest Love of All”. To the finale at the end where a video montage is projected across the humongous stage curtain creating a flashback of Rachel and Frank’s tender love moments. Probably the most fun while at this show is the finale when the entire cast comes out to sing “I Wanna Dance With Somebody” encouraging everyone to get up out of their seats to clap and sing along. If your primary interest in seeing this musical is getting a great big dose of a live pop diva, glitz, glamour, and eye candy then stop reading and book your tickets now. It’s a fun night out that has you leaving the theatre smiling from ear to ear.